Believe it or not, Tokyo was once a running metropolis, based on a circular economy. It is a vivid reminder how resilient we are, and how we can leverage our own resilience to create a vibrant, abundant society, without relying on too much “stuff.” It was 300 years ago, during the Edo period (1603-1868), when Tokyo was called Edo, the new capital of then-Japan, under the Tokugawa Emperor regime. It was even more populous than Paris or London, by the early 18th century. With more than 1 million people, Edo sustained itself as an almost complete CLOSED LOOP SYSTEM. So, Edo had to do with minimum input to support a large population, most of which was either Samurai, in service (public and private) or commercial sector. Naturally, people wouldn’t let any residual values go wasted – every single input was used, reused, repurposed, recycled and downcycled until it was ready to go back to mother nature. And those activities were supported by various unusual, odd jobs. Edo people were definitely creative to come up with new jobs wherever there was residual value. Edo’s value chain and and job ecosystem was circular, organic, demand-driven and peculiarly abundant. 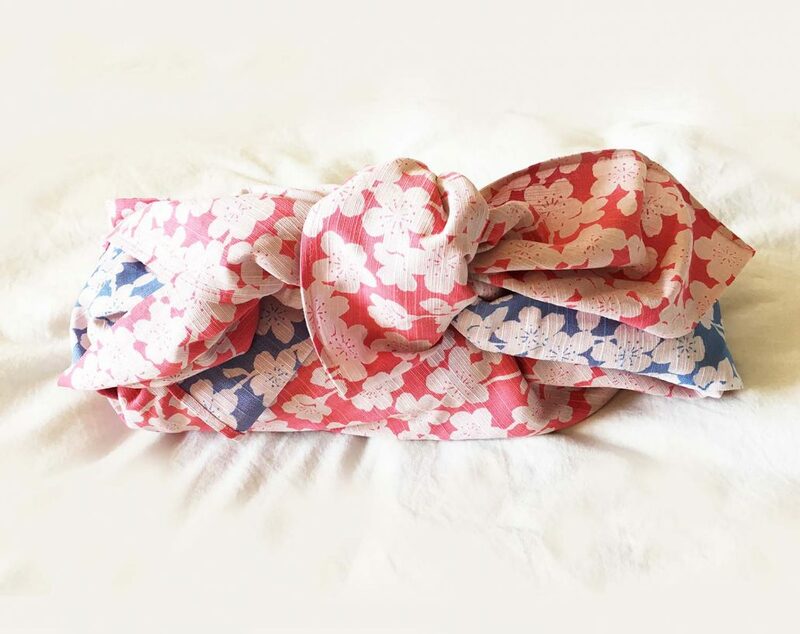 Although resources were significantly limited during the Edo era, compared to today’s open economy, the Japanese tend to remember Edo as a vibrant and self-sustained society, where people enjoyed life. Edo is associated with rich culture (arts like Ukiyo-e and kabuki became popular during Edo era), a high level of education (literacy rate was surprisingly high) and even some epicurean atmosphere. Edo people were resilient. 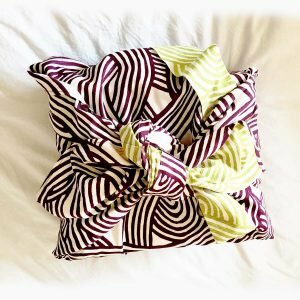 They were creative enough to overcome resource constraints and maximize the use of every material, and maximize the joy of living. Yes, necessity is the mother of invention. Here are some interesting and peculiar closed loop systems in Edo. The Circular Economy is often described as a self-sustained closed loop of which no material goes out of the system as waste. It’s different from the current linear system, where we “take, make and waste.” It especially puts focus on design. Design plays a critical role because the end-of-life phase of any product has to be strategically planned at the design stage, if we are to to avoid any input to become waste. How did the Edo society deal with those questions? In order to understand the circularity of the Edo economy, we need to understand “design” in their world, which looks a bit different from our version. In the modern manufacturing system, design is an elaborate conception of any products/services, which defines their functionalities, values, and fates. Once R&D determines technical feasibility, then it’s usually a small group of very talented, smart and capable professionals, who “design” products. It’s a pretty exclusive process, and most of us, as customers, have no clue to how products are designed to deliver all the cool functions we love. In the Edo economy, there were no dedicated designers. Carpenters were architects, craftsmen were designers, and repairers were artists. Growers and harvesters were researchers with a keen sense of observation, who would dictate the feasibility of subsequent production. If you didn’t have a job, you would try to penetrate in Edo’s organic economic ecosystem, by designing your own job by picking up any residual value from used products. On top of that, users also actively engaged in designing, because there were always incentives to be creative, to make the best use of any products. And every product was used, repaired, repurposed, recycled and downcycled, until it finally went back to nature. 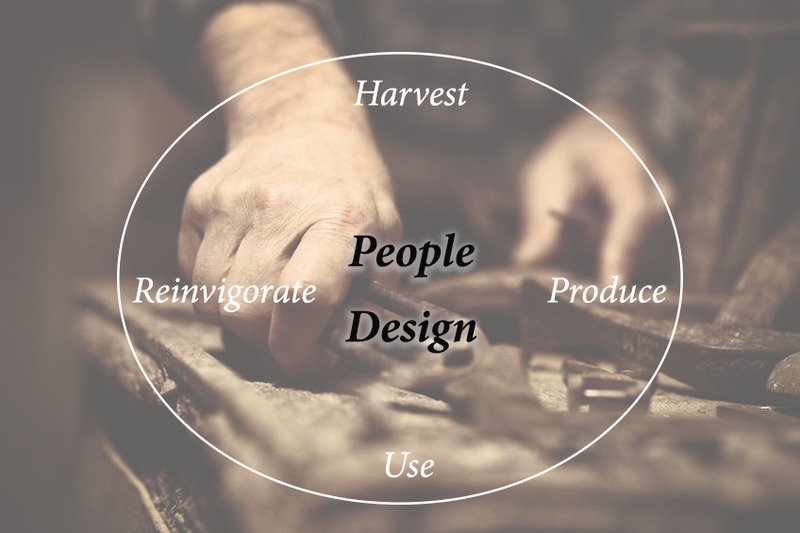 Edo’s circular cycle was filled with people, and filled with opportunities for design. At any stage of the system, people could, and would pitch in to make the most of what nature gave to them. And since naturally sourced materials were naturally compatible with humans and the environment, it was easier to keep the cycle closed, self-sustained and rolling. It was humans who had to comply with the laws of nature, as opposed to the modern manufacturing system, where natural materials comply with our technologies. Left: design at production phase. 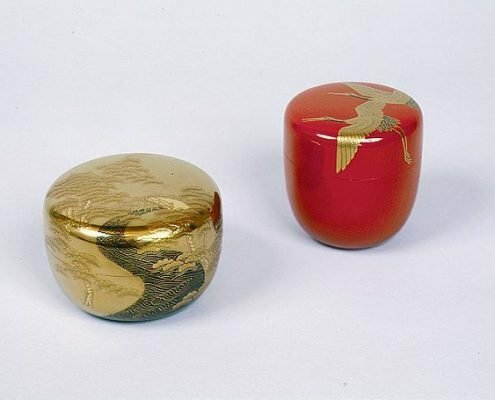 Maki-e is a traditional Japanese lacquer and gold paint. 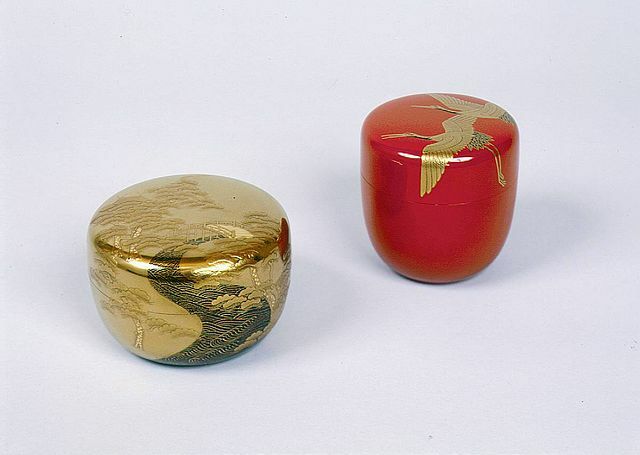 It uses urushi (poison oak tree sap, red and black lacquer seen in the picture), and then adds gold on top. 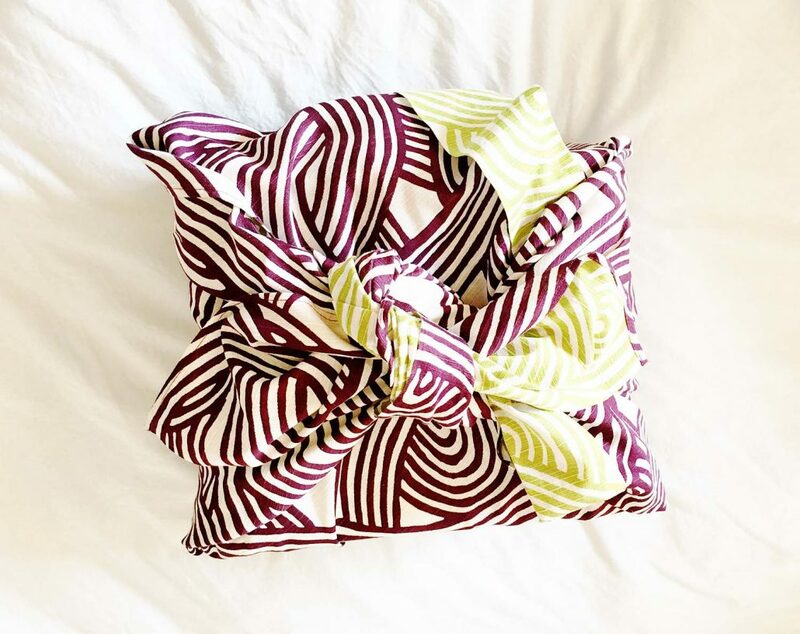 Maki-e requires an elaborate process and experienced artisans, who are in charge of the design of the products. Middle: design at use phase. Furoshiki is typically a simply square fabric used to tote things. 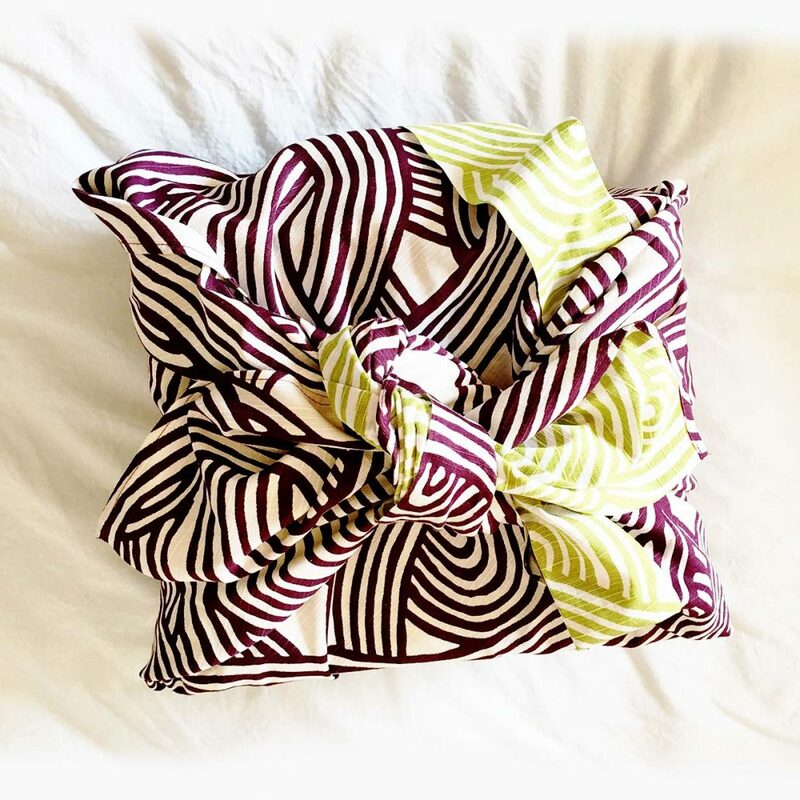 Over time, people developed so many different ways to fold different things, big and small, square and round. 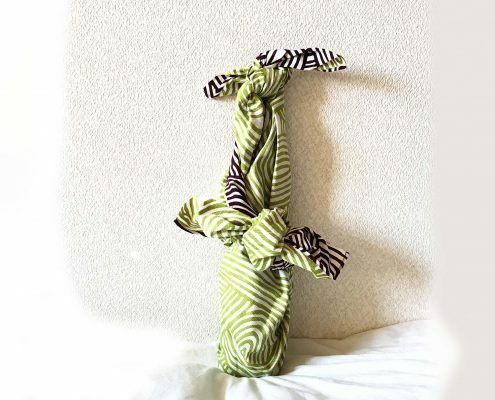 With furoshiki, users design how to use it. Right: design at repair phase. Kintsugi is a craft/art to repair broken ceramics. After carefully gluing broken pieces back together, Kintsugi applies gold/silver powder for a finishing touch. The gold lines on the dish you see in the picture are the traces of breakage, but they look like they were added for design. 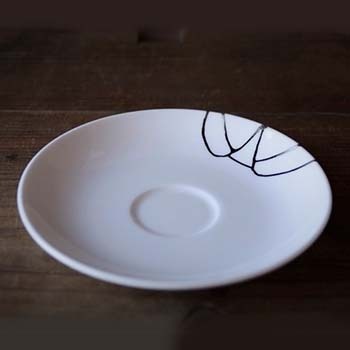 Kintsugi elevates repair to art. The choice of materials that entered the economic system was strictly limited to what nature provided to humans. Wood (both deciduous and conifer) and plants were dominant sources for many products, such as buildings, and items big and small. Paper was used for books, packaging, coating etc. Major fibers used for textiles were cotton, linen and silk. People carefully grew and harvested those materials. 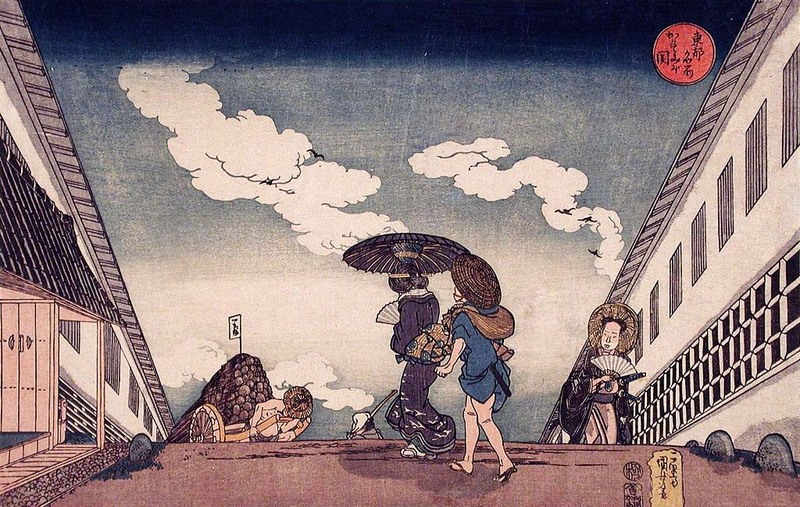 In this Ukiyo-e “Kasumigaseki” by Kuniyoshi Utagawa [public domain], you can see houses and wheelbarrows made of wood: parasols and fans made of wood and paper: women’s flip-flops made of wood and fabric: mens’ flip-flops and hat made of straw: clothes made of fabric. There also are some unique applications of wood/plant sources. Urushi (left: black and red lacquer under the gold paint) is poison oak tree sap used as high-end paint or glue. 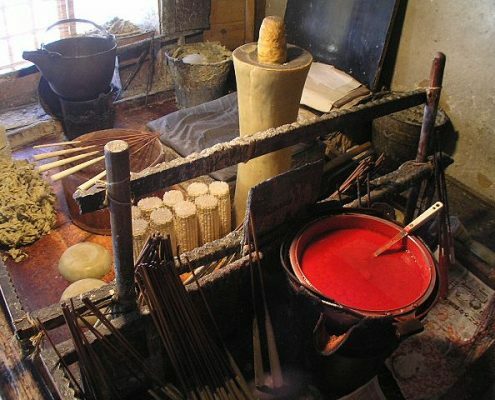 Candles (right) are made of plant tallow taken from haze (Japanese wax tree) through an elaborate and time-consuming manual process. It is worth noting that the yield is very low for both urushi tree sap and haze tallow. 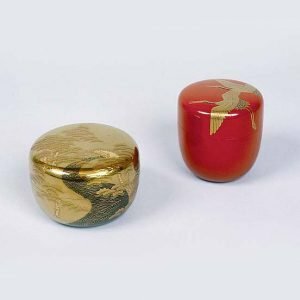 For example, one urushi tree will only produce less than 7 oz of sap per season, even by an experienced urushi collector. Those inefficiencies are a large bottleneck to sustain traditional materials in today’s economy. 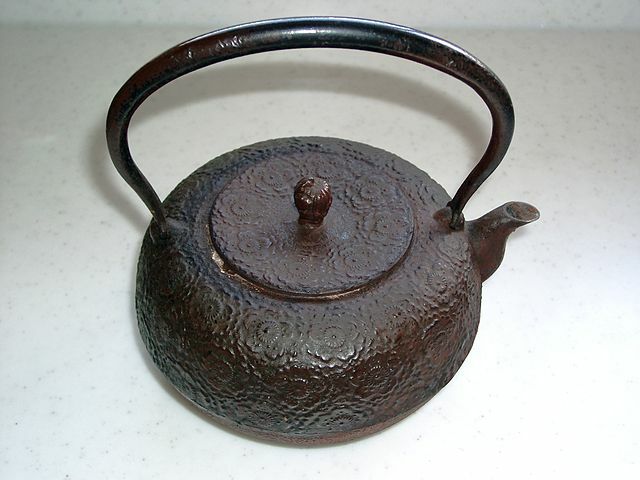 As for inorganic materials, clay was used extensively for ceramics. Some metals were also used: Japan produced a good amount of gold and silver during the Edo period, and also had some reserves for iron and copper. But whereas organic materials were very high quality (better quality natural woods were still available back then, and many items were produced by highly skilled artisans and craftsmen), technology was not there yet to process metals effectively. 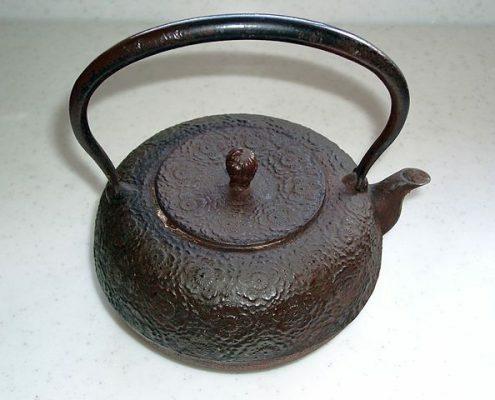 Metal products, such as kitchenware (pots and pans) were expensive, but would require frequent repair. 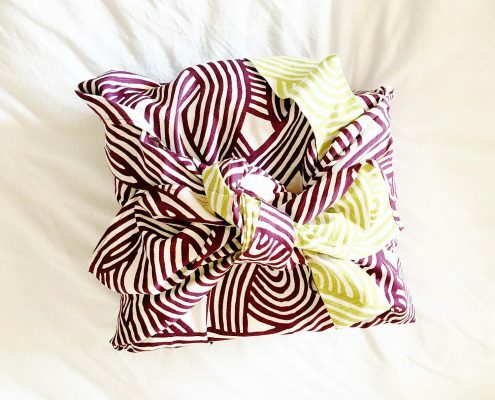 Traditional manufacturing processes are skill-intensive and require substantial time and effort. Many processes were achieved by experienced craftsmen or artisans who would spend decades to master special techniques, often transferred from masters to apprentices through demanding OJT. 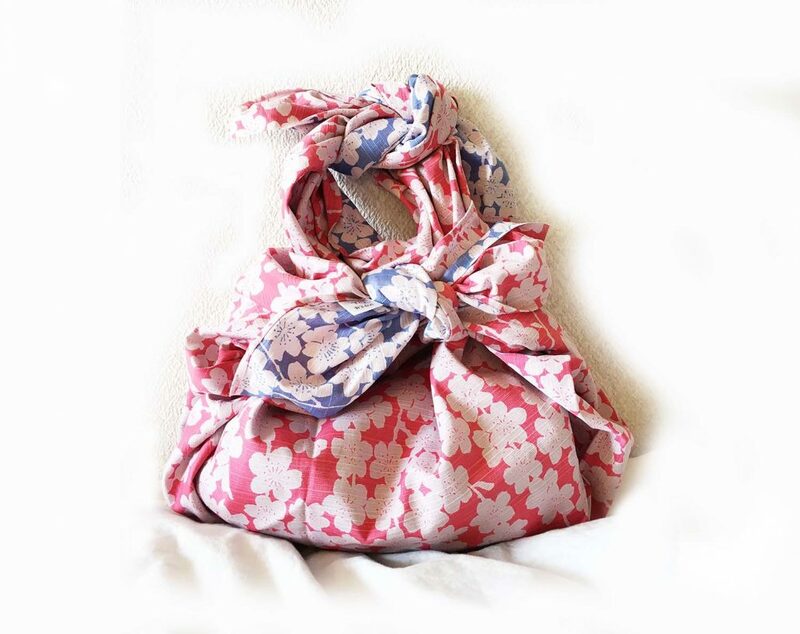 Japanese paper, or washi, is typically made using only specific tree species: kozo, mitsumata or gampi. They have long, resilient fibers with lucent texture. 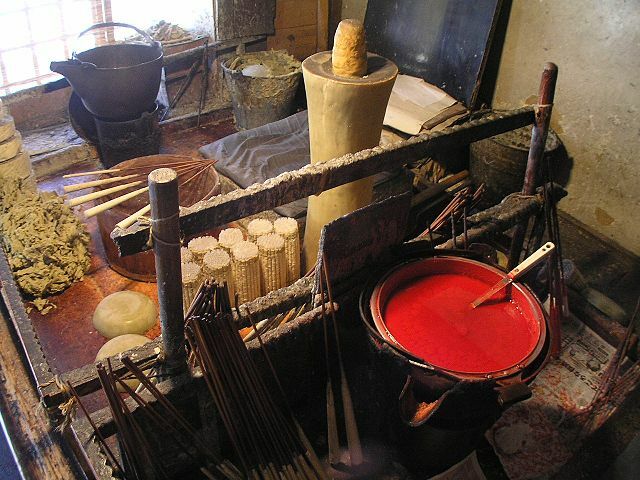 Fibers are taken out of trees through boiling, and made into paper, often using a technique called “nagashi-suki.” Fibers are blended with gluey additives (also derived from plants) in a frame, and are carefully washed in pure water. By repeating this process, they can form delicate layers to become strong paper. Coatings, such as plant-based oil or konyaku (a kind of potato usually eaten as food), can be applied on the surface to enhance strength or impermeability. Candles are almost exclusively made using haze tree nuts. 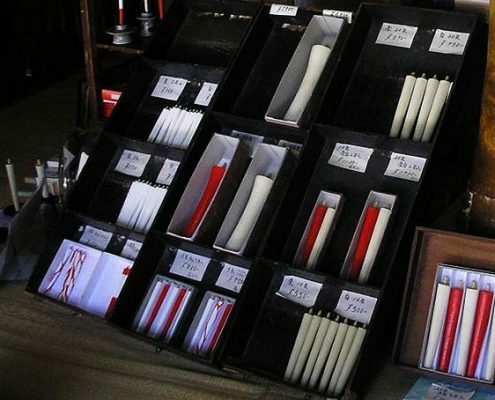 The process is still manual today, which is to apply molten tallow around the candle wick many times, until it achieves sufficient thickness. 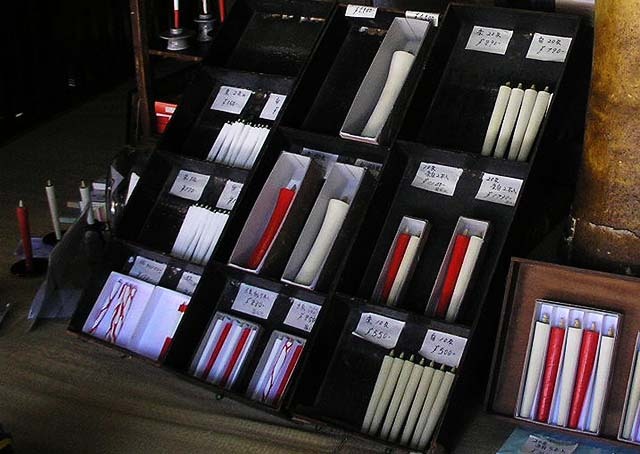 Unique techniques are trade secrets for a small number of remaining Japanese candle manufacturers. As was the case with material extraction, traditional manufacturing processes are often inefficient. Today, many of the remaining industries are suffering from a labor shortage, because workers have to commit long hours doing required jobs for non-lucrative compensation. The labor force has shrunk significantly, compared to Edo period, losing to super-efficient machines that can produce the same items, much faster and substantially cheaper. But don’t assume that they were inefficient only because they didn’t know how to be efficient back then – and technology would have solved everything. There is a reason behind those inefficiencies. In the case of paper making, taking out fibers only from the most suited species, and trying to keep them as intact as possible throughout the process, results in a very strong, resilient and beautiful product. Experienced workers have keen senses and high levels of concentration to find the best option available in each step and each detail. They refuse to compromise in order to capture every single sign from the natural materials, so they could unleash their resilience and beauty. The best quality papers made using these techniques are said to last for 1,000 years. It’s reasonable to say that these paper materials, for example, could sit at the top of the circular economy, because 1) they won’t lose their quality and beauty for a long time; 2) they withstand recycling (without degrading) several times, because the fibers are very resilient; and 3) they can still function, as toilet paper, for example, even after they are downcycled. If you put it in the longer-term, life-cycle perspective, you could no longer say traditional paper making is inefficient. It WAS actually as efficient as humans could be at that time, realized by the best quality materials, and best workers. At each stage from growing/harvesting trees, to making paper suitable for different purposes, that come in different grades and strength; people did the best they could, mobilizing all senses and capacities. From the circular economy perspective, there are two interesting characters in Edo products: versatility and flexibility (or serendipity, if you will). There are many items that could be used for multiple purposes. 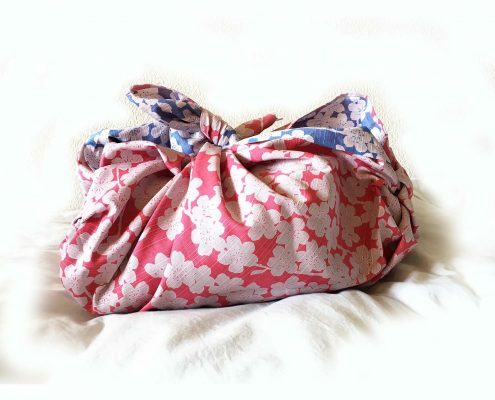 For example, furoshiki is a large square fabric (typically comes in 2”2’ x 2”2’) that can be used to tote stuff. 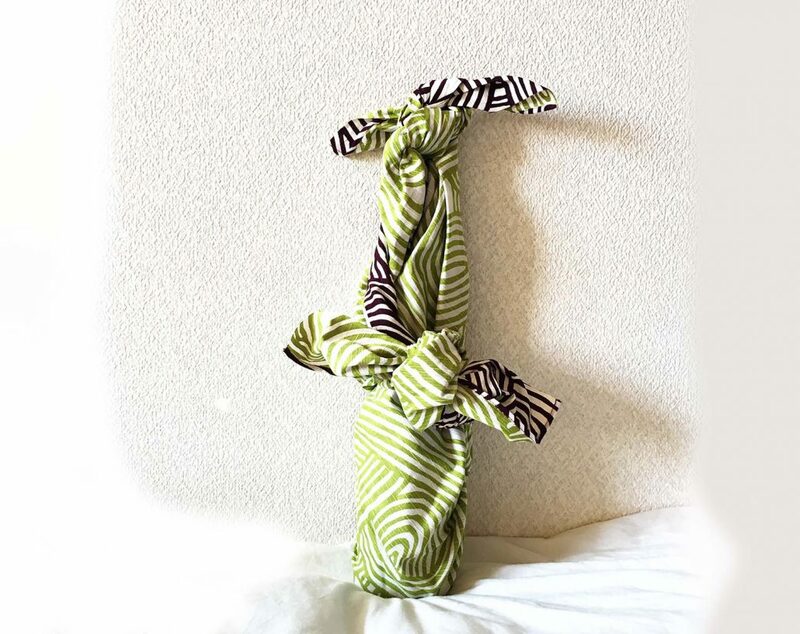 People have developed many ways to tie them to serve different purposes, fashionably. 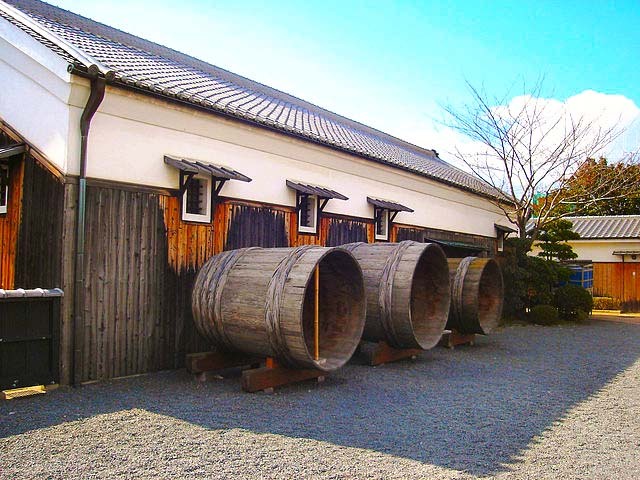 Barrels were used to ferment/transport many liquid products such as liquor, soy sauce or miso. Sugi-daru (cedar barrel) started to become a dominant barrel type, once the handsaw became available and regional trading flourished. 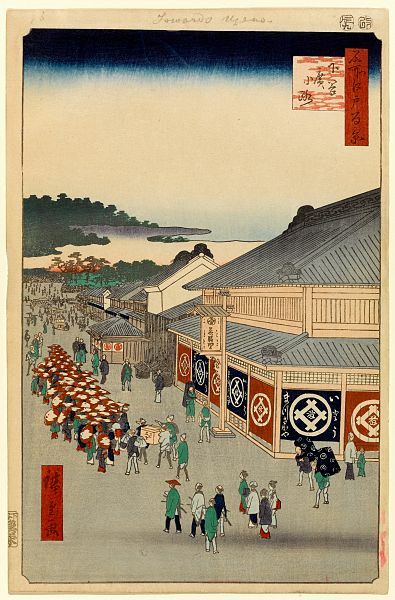 During the 18th century, Edo grew to become a consumption powerhouse, but Kyoto, the old capital, was still regarded as the center of the refined civilization. Japanese sake brewed in the Kyoto area was highly demanded by the Edo people. 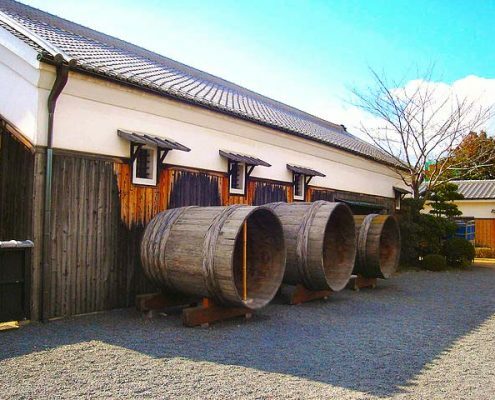 Sugi-daru helped Kyoto export substantial amounts of sake to Edo, making trading and transportation much easier, compared to heavy and breakable ceramic containers. As it turned out, there was an additional benefit to sugi-daru: it came with a beautiful scent. 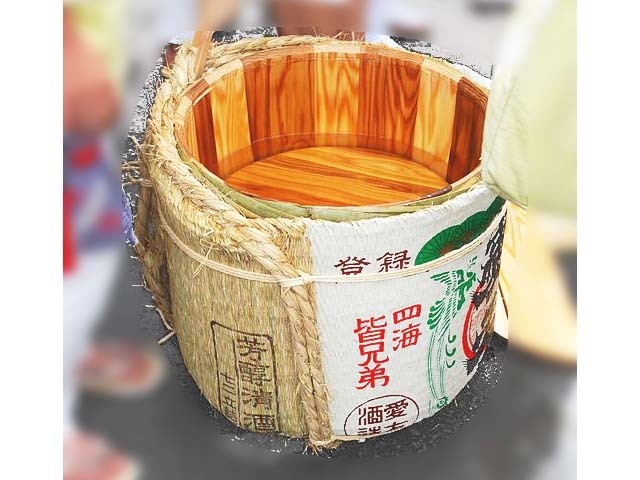 Just like oak used for wine barrels, cedar added great aroma to sake. Edo people loved it. Once sake was sold in Edo, empty containers were collected and sold to soy-sauce, vinegar or miso manufacturers through middlemen. Why? 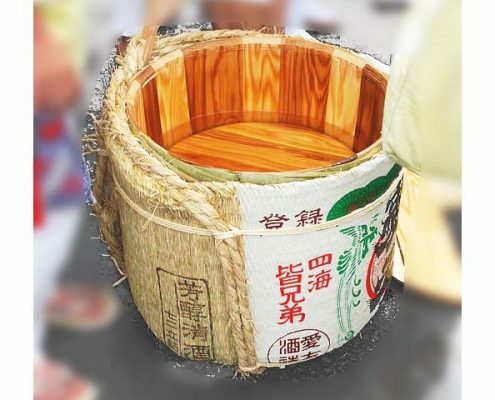 Because the weakened scent of cedar, blended with sake flavor, was exactly what was suitable for those products: a barrel made of new cedar wood would smell too strong and would destroy the delicate balance of flavor. And it so happens that there were many sake manufacturers and cedar wood around Kyoto. The Edo suburbs were starting to boom as a big soy-sauce making region. Soy sauce, vinegar and miso manufacturers would reuse the barrels several times, until they were no longer usable. Because many products shared a common origin, nature, they were naturally compatible. You could enjoy unexpected benefits, or serendipity, at different phases of the circular cycle. It was up to us humans, leveraging our sharp senses, to adjust the balance, for best results. There are a couple of reasons why the post-use phase is called “reinvigoration” here: 1) “renew,” “restore” or “regenerate,” the terms frequently used in today’s sustainability world, are not descriptive of how Edo people handled used products, because many materials wouldn’t simply fully restore without modern technology; 2) Edo people instead made the most out of materials’ as-is status, leveraging their keen sense of observation and creativity; and 3) they also knew how to add beauty to, or discover beauty in old stuff to transform it to something bigger. Because of that, things got more colorful and curious when products stopped functioning. There were people who would collect, repair, repurpose specific types of items, or sell them to the next agent, who would downgrade and re-sell them. Any residual values were picked and used. Here are some examples. 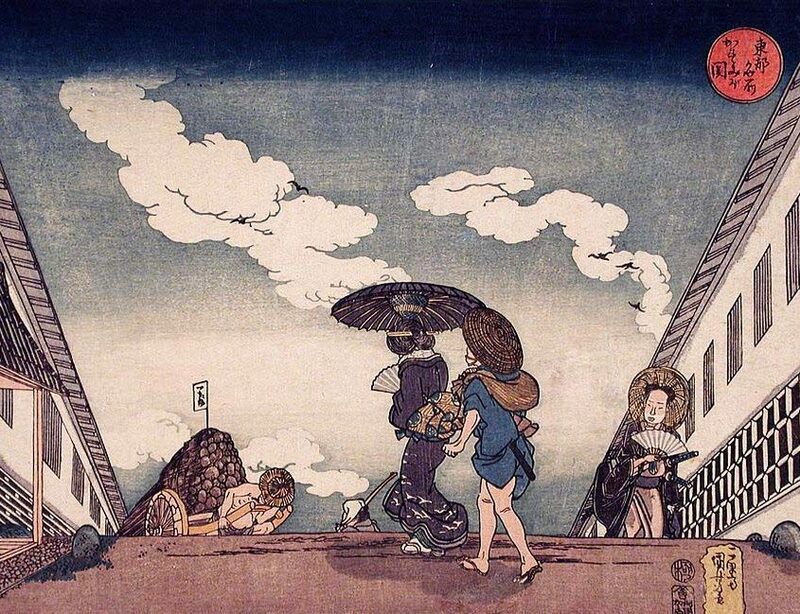 Since it rains a lot Japan, umbrellas were an important daily item for the Edo people. They were made from wood (structure) and paper (canopy). Such “organic” umbrellas required a lot more frequent maintenance and mending. But interestingly enough, that frailty created business opportunities for others. There were people who exclusively collected used/broken umbrellas, and they used a commonly applicable pricing system, based on the quality/grade of the umbrellas. They sent collected umbrellas to aggregators, who would ship them to repairers. Repairers would mend the structures if needed, and then replace canopies. Repaired umbrellas were put back in the market. Back then, umbrella mending was a popular “part-time job” for many Samurai’s who didn’t receive enough allowance, because their rank was low. The type of the paper used for umbrellas was strong and coated for impermeability. It was suitable as a packaging material to carry squishy products such as miso or fish. Used paper was collected and sent to manufacturers or retailers, who used them to package their products. Since ceramics require well-balanced clay, skilled potters and high temperature processing, production has traditionally been concentrated in certain regions. 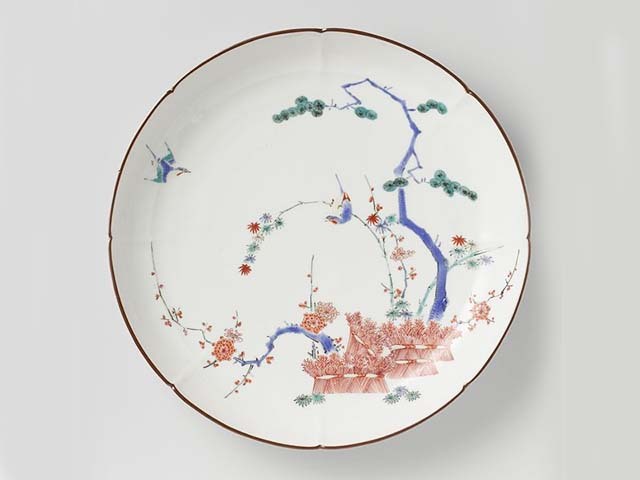 As a result, they were relatively expensive in Edo, although dishes and cups were daily household items. Naturally, ceramics developed a vibrant maintenance/repair ecosystem. One of the Edo era senryu, a popular form of satirical poem, read: “ceramic repairer is at every door of a fighting couple.” You could almost visualize a small and lively neighborhood, where all kinds of self-claimed “sales” people are cruising on the streets, looking for any sings of business opportunities. Since ceramic repair was a popular job, you’d almost be certain to find one on your corner, who’d be getting ready to pick up your broken dishes you were just about to throw at your spouse, who was barking at you! 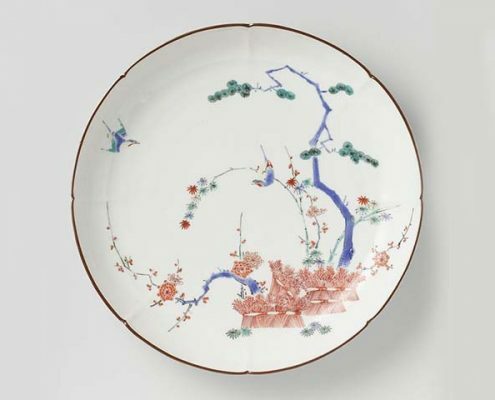 There are two major types of ceramic repair: yakitsugi, or kintsugi. Yakitsugi means “repair by burning,” and kintsugi means “repair using gold.” Yakitsugi repairers, as shown in the above image, would carry a small, portable furnace and additives so they could fix broken products on-site. If Yakitsugi is focused on quick, on-site service and restoring functions of ceramics, Kintsugi (shown in above photos) is a much more delicate and artistic process: it uses urushi (poison tree oak sap discussed earlier) as glue, and uses gold or silver powder to give a beautiful finishing touch. Yakitsugi is hardly seen today because the quick, but often sloppy job, didn’t find the niche to survive in the modern economy, but kintsugi is still practiced by many artists. There definitely has been momentum to elevate repair to the next level, or to art. Kintsugi is all about design. Faced with broken pieces, kintsugi artists attempt to come up with their best answer to give new life. It’s a totally different process compared to creating something new from scratch. Kintsugi focuses on embracing the history, the injury, or the physical disagreements revealed by some natural force (like dropping). Despite our belief that breakage is a casualty that reduces value, kintsugi artists saw new potential or a new face of beauty in breakage. Japanese traditional shoes were sandals. Poor people made them on their own using straw (called waraji), but richer people wore geta or zori, which were made of wooden soles and fabric thongs. Geta (shown in above image) have “teeth,” which are one or two supporting wooden pieces, perpendicularly attached to the back of the sole. Womens’ geta could have a platform instead. Zori have flat soles. Kiri is the most popular wood species for the sole, because it’s light, sleek, soft on skin, has beautiful grains and is relatively impermeable. And a minor but interesting detail: it transmits sound very well. A pair of geta made of kiri would make a nice “clan, clan” sound. 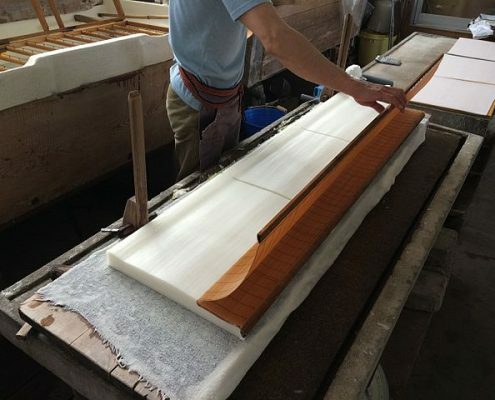 Kiri is also used to make traditional Japanese musical instruments. Other wood species, that are denser and stronger, are used for the teeth. Kiri grows fast, but its quality is substantially affected by the local climate and soil conditions. Because it takes a lot of effort and experience to grow kiri, its production has been reduced significantly, in the past several decades. Naturally, geta and zori are relatively expensive, and it was common for Edo people to provide them with good maintenance, so they could use the kiri soles as long as possible. “Haire-ya” were repairers focused on the teeth. They would carry a backpack with tools, and go from street to street, looking for customers who just broke them. There are also experts who can fix thongs, called hanao. Thongs play an important role because they basically determine fitness, given that with geta, major stress is concentrated on the point in-between the first and second toes. 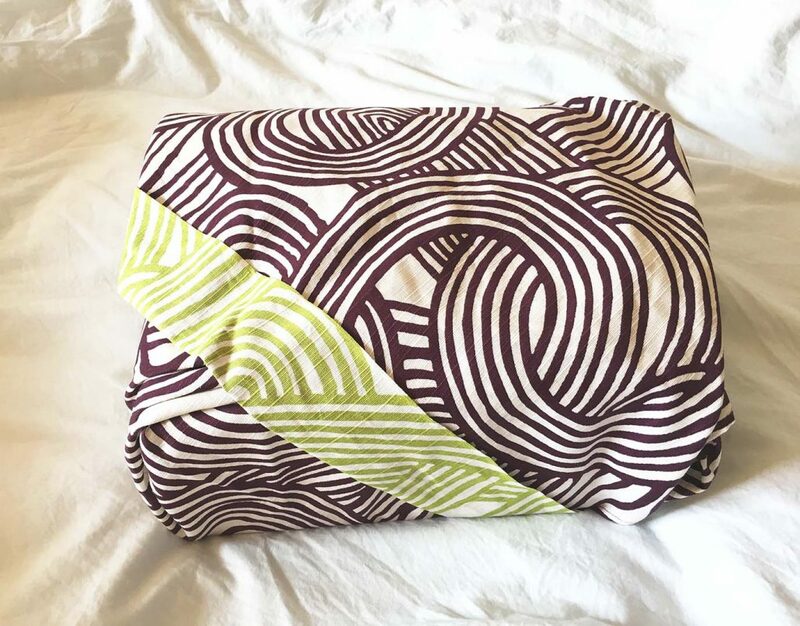 Not only hanao repairers could fix wear and tear, they could give a pair a new look by introducing a new design – new material, new color and pattern, and new style – on hanao. And if that wasn’t enough, they could also adjust them to fit the users’ feet perfectly. Today, we don’t have much liberty to tweak an existing product to give it a new feel, because it usually disrupts aesthetic balance. 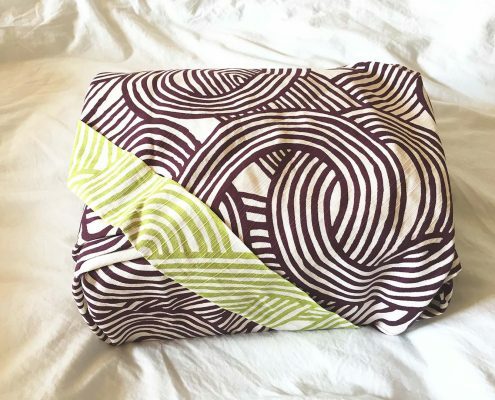 It may have to do with the fact that the materials used for modern products are often synthetic or engineered, rather than natural, which makes it almost impossible for ordinary users to come up with something compatible. But in the Edo era, most materials were naturally harvested. Many people were familiar with them, and many of the materials that surrounded the people were just compatible with the process. When you cannot expect too much stuff to be entering into your economy, there is a lot more you can do in addition to, or instead of, complaining, lamenting, or blaming someone. Edo people just unleashed their own resilience and creativity to help them and enjoy life. And it’s not because Edo people were special. Our resilience is so boundless that it can adjust to different levels of material affluence. And the greatest part is that when there is less material available, the more active our capacities and senses can become. And ultimately, our resilience is about our power to “design.” It is the ability to design how we relate with nature, how we create something out of it, and how we enjoy our life. Our happiness is upon us, and we can design on our own. Edo people are just reminding us of this exciting truth.